Everyone remembers their first love. Holly has learnt that life isn't about seizing the moment. She might have harboured dreams about travelling the world as a teenager, but she let go of those - just as she let go of Alex. But what if the feelings never really went away? Alex wants to make every moment of his new job count. It's a fresh start in a new city, and he knows that moving to London has nothing to do with Holly. Well, probably. How do you know if it was meant to be. or never meant to happen at all? I kindly received The Best Thing That Never Happened To Me in exchange of an honest review via Netgalley. 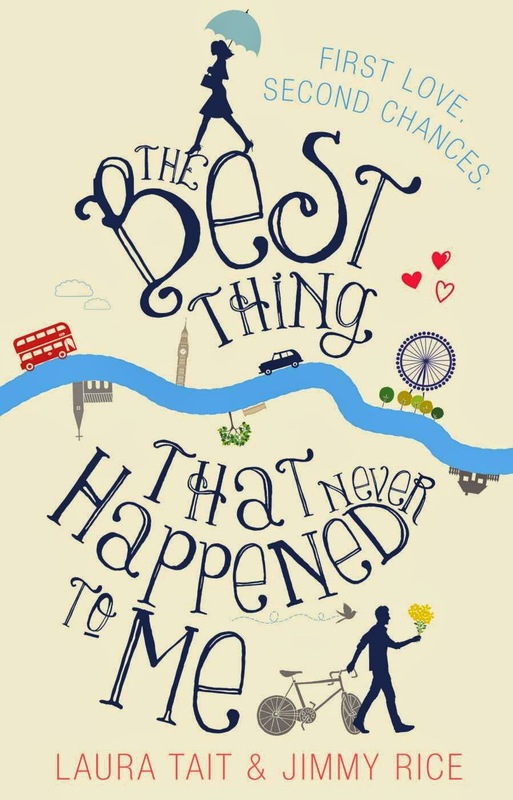 The Best Thing That Never Happened To Me is about Alex and Holly, a classic tale about two best friends. They grew up together, do everything together and know everything about each other. As teenagers, they fell in love but they never told each other how they felt. When Holly moved away, they lost touch. Ten years later, Alex is working as a teacher and is leaving their hometown of Mothston in Yorkshire is moving to up to London for a new start to his teaching career. As it so happens, is this is place where Holly lives now. She had big plans to travel around the world but she ended up working as a PA and fell in love with her boss. When Alex and Holly meet up after such a long time apart, they don't act like stangers, they slipped back into everything how it always has been back in the 90's. Although, things have changed, they aren't the same people as they were 11 years ago. Will they find a way to get together? The first time I heard about this book was on Twitter. It was massivly hyped the last few months until it's release date. When the cover has been revealed, it hit me. What a beautiful and stunning cover! I knew I need to read this. I will get a paperback copy of this book when it's published in July. The cover and the blurb looked so promising. The story didn't let me down! I really liked the concept of the book. This was the first time I've read a book written by two authors. It worked and I very enjoyed it. Funny, witty dialouges, nicely written characters... and so real. I was hooked from the first page on. I absolutely loved the flashback and how the story progressed. It's a wonderful light hearted, warm story about love and two best friends, with all the up and downs in their lives and lot's of laugh out loud moments. I can only say: Get your copy now! You won't regret it. This sounds so good! Great review! oo i adore the cover!! Welcome to Dreaming With Open Eyes, my cozy corner of the internet. On this blog you'll find book reviews, author interviews, guest posts well as book discussions, photography and reports about my travels. If you have any questions or comments feel free to message me! Happy reading and thank you for checking out my blog! Copyright © 2016 Free Blogger Templates. Distributed by Free Blogger Templates. ALL CONTENT AND IMAGES © Copyright: Isabell Homfeld (UNLESS OTHERWISE STATED).